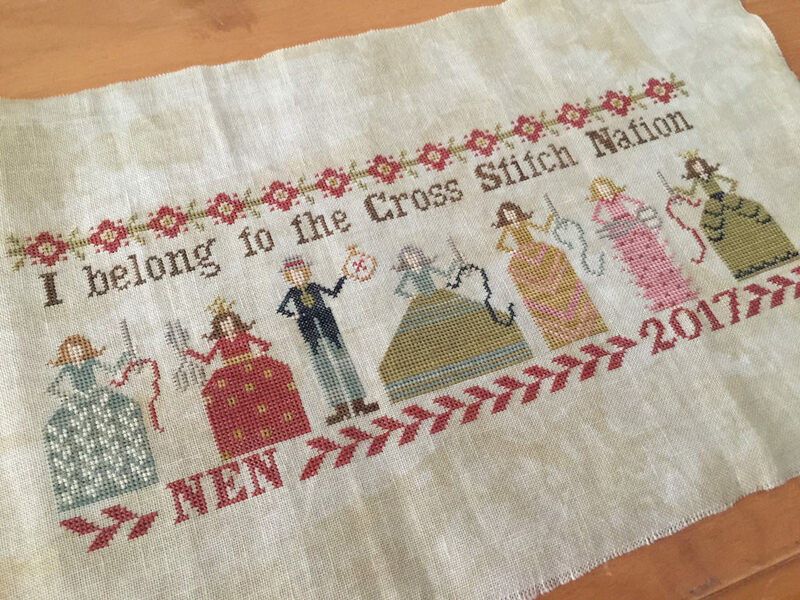 Cross Stitch Nation by Heartstring Samplery - 36 ct. Wren by Picture this Plus, various hand-dyed cotton threads (1 over 2). Heart & Hand by With Thy Needle & Thread - 40 ct. Vintage Bluegrass by Lakeside Linens, various hand-dyed cotton threads (1 over 2). 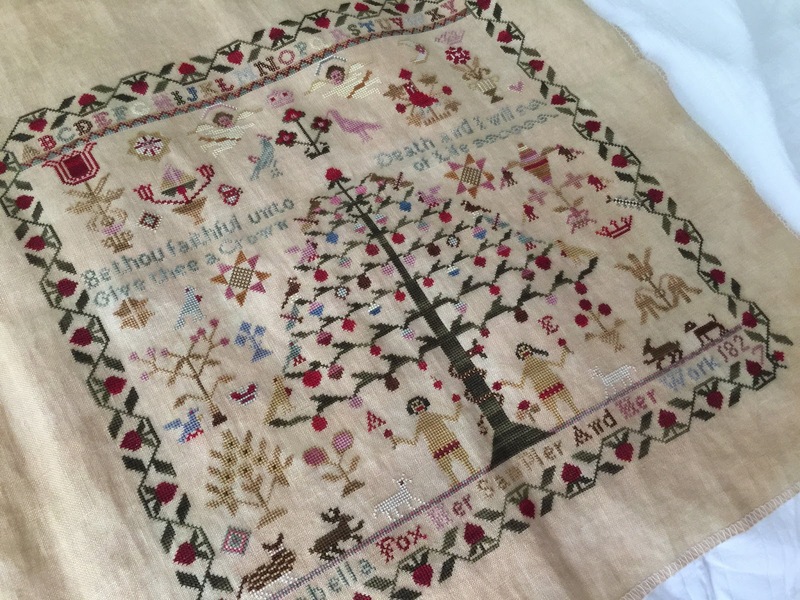 Isabella Fox by GigiR - 40 ct. Vintage Sand Dune by Lakeside Linens, various hand-dyed silk threads (1 over 2). Coffee Quaker by Heartstring Samplery - 40 ct. Vintage Fawn, various hand-dyed cotton threads (1 over 2). 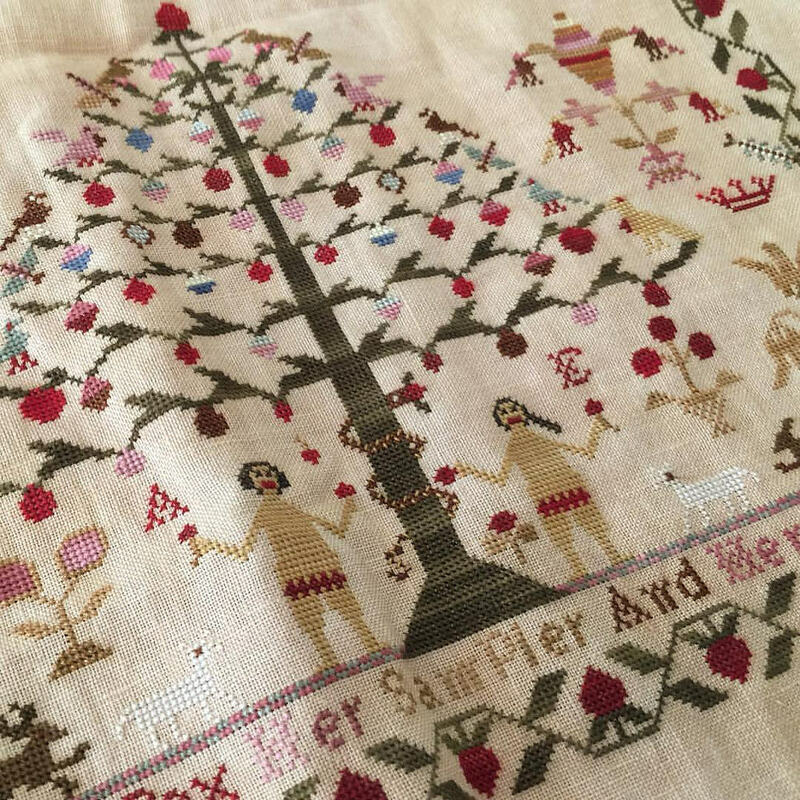 ABC Samplers by Little House Needleworks - 36 ct. hand-dyed linen by Zweigart, Classic Colorworks threads (Shepherd's Bush conversion - 1 over 2). 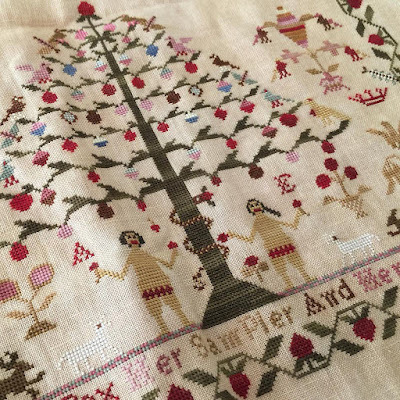 ABC Samplers by Little House Needleworks - Thread, Fabric and Patterns from Shepherd's Bush. 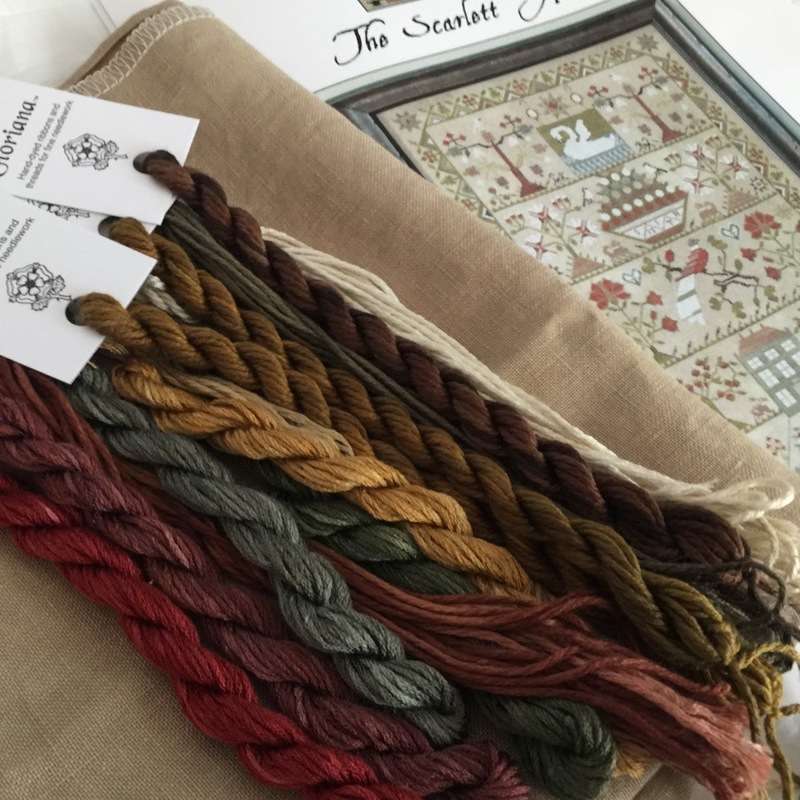 Three With Thy Needle & Thread Patterns - Essamplaire Petites Collection II, Heart & Hand and Tulip Festival from 123 Stitch. 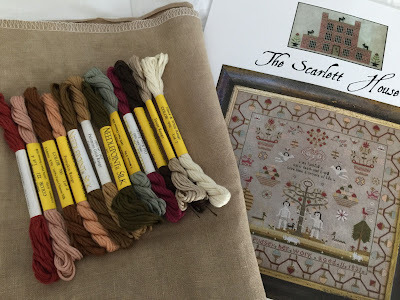 The Scarlett House - Martha Pudsey 1835 and Smith Sampler and a few silks that I needed from Needlecraft Corner.